Obituary – Hise, Ramon Lee « Perry High School Alumni Association, Inc.
Ramon L. Hise was born October 11, 1933 at the Family Farm in Orlando, Ok to Ed Z. and Bertha Marie (Hamblin) Hise. He passed away Wednesday, February 22, at his home in Perry, Oklahoma. Arrangements have been entrusted to the care of Palmer Marler Funeral Home in Perry. 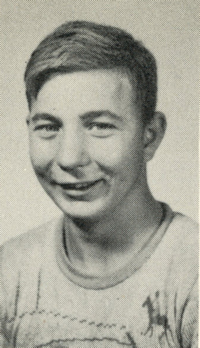 Ramon graduated from Perry High School in 1953. After graduation he joined the Army spending time stationed in Germany and was honorably discharged in 1956. He met and married the love of his life, Erline Huffman, on June 9, 1959 and they made their home in Perry, Oklahoma. Ramon worked for the Oklahoma Department of Transportation in Perry and retired after 30 plus years of employment. He then went on to work for the City of Perry, retiring twice! 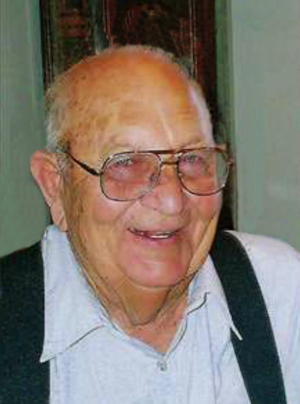 Ramon was a member of the First United Methodist Church in Perry, and the Elks Lodge. Ramon was a hard worker who raised four wonderful daughters alongside his wife. He shared his love of fishing and hunting with his family and taught many grandchildren how to cast a line and what bait to use. He enjoyed hunting, gardening, watching the wildlife that passed through his yard and spending time with family and friends. Very few people could make a chocolate cake from scratch like he could! He was a kind and gentle soul who will be missed by all who knew him. Ramon is survived by four daughters, Guineal Redman and husband, Kermit of Mulhall, OK, Rachelle Davis and husband, Mike of Perry, OK, Annette Crozier and husband, Jack of Perry, OK, and Lisa Hise and partner, Dennis Hockenbury of Ponca City, OK; one sister, Wilma Albin of Midland, TX; one sister-in-law, Sylvia Lam of Colfax, LA; ten grandchildren, Angela Howard, Joseph Relph, Michael Relph, Stephanie Davis, Jeremy Davis, Betsy Ross Davis, Crystal Dilbeck, Amanda Valencia, Jill Evens, and Jamie Parrish; nine great-grandchildren and numerous nieces and nephews, and a host of friends. He was preceded in death by his parents; wife of 56 years, Erline Hise; three siblings; and one great-granddaughter, Ashton Payne. Visitation will be 10AM to 8PM Friday, February 24th at Palmer Marler Funeral Home. Family will receive guests from 6PM to 8PM. Funeral services are scheduled for 11:00 AM Saturday, February 25, 2017 at Grace Hill Cemetery pavilion in Perry. A reception will follow at the family home in Perry. Family requests that memorials be made to Perry Humane Society.